With my finals being completed, I could dedicate my time and efforts to speaking at more Rotary clubs in my host district 9600. 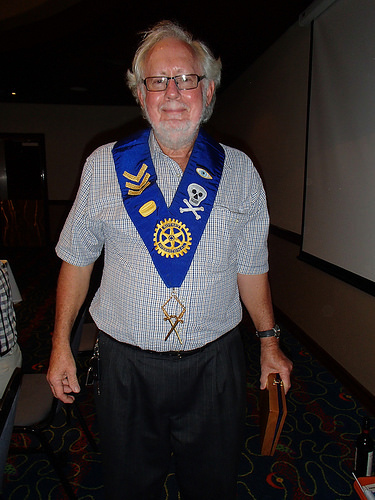 I visited the Rotary Club of Mitchelton which meets on Tuesday evenings at the Arana Leagues Club at 6pm for a 6:30pm start. With my visit being in November, the club was preparing for their annual Seniors Christmas Luncheon. Each December, they host about 100 seniors from the local community who may not be able to celebrate Christmas with family or friends. I love learning about the different community service projects that each club does. The projects vary and try to reach out to different groups or organizations in the local community. I think that’s one thing that is sad about today’s world. So many of the smaller community projects get surpassed and unrecognized. 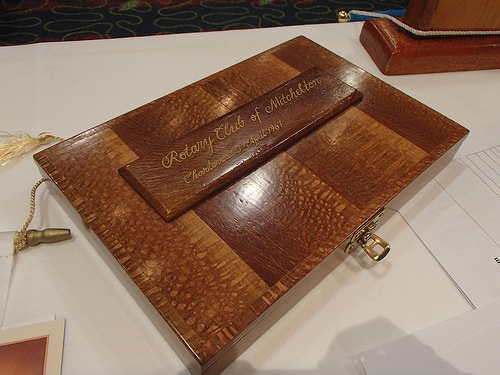 I am thankful to share about the ones I hear about during my Rotary club visits. I wish there was a website or webpage from the local government dedicated to sharing information about ongoing community projects. Then, citizens could learn about them with the option to join or volunteer and see the great works happening right in their neighborhood. 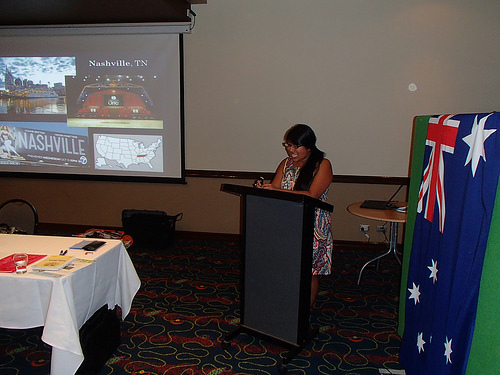 Then, it was my turn to give my presentation about Nashville and my connection with Rotary. It’s always such a great opportunity to share how diverse the United States is and also beyond what people perceive Nashville to be. Everyone knows and can connect to country music and the Grand Ole Opry. They always have a kick when I tell them that I have performed on the Grand Ole Opry! Prior to being known as Music City, Nashville used to be known as the Athens of the South because of all the educational institutions and not to mention the life-size replica of the Parthenon at Centennial Park! In my former job, I worked closely with Vanderbilt University and Belmont University that are both exceptional institutions. Another interesting part of Rotary meetings is the role of Sergeant-at-Arms. The key function is to maintain order during the meetings and ensure that all visitors and guests have a welcome experience. The Sergeant-at-Arms can also fine members during the ‘Fines Session’ for being late, forgetting to wear their badge, or anything the Sergeant deems appropriate. In my host club, our Sergeant is the funniest man alive and can always find a way to fine every member for something he or she did or didn’t do! The money from the fines is then put towards the charity proceeds. It always makes for an entertaining time during the meeting. I had a great visit at the Rotary Club of Mitchelton and liked how their Sergeant wore his uniform as most Sergeants don’t wear them at the other clubs I have visited. Feel free to check out the rest of my photos from my club visit here!